3) remove the systems when the cars go out of service. GCS guarantees that in most cases, a mere 10% reduction in fuel use, at $4.75/gal, will likely pay for your lease plan. Expect a far greater reduction to fight higher fuel prices & save your budget. Lease Plan A: Simple 2, 3, or 4 year lease plan. Lease Financing available through several commercial municipal leasing companies. Lease Plan B: If qualified, simple 2, 3, or 4 year lease plan that splits the fuel savings. If fuel is cheap, lease fees are low. As fuel prices/costs rise, so does the savings split amount. Flexible fuel cost savings, depend upon actual vehicle usage and upon actual fuel costs, month to month, per lease term. Either way, fuel savings are likely to pay for the cost of the HyTec™ Hybrid lease – emissions reductions are then FREE! 1) GCS P71 HyTec™ Hybrid fuel saving, emission reducing technology can help you meet CA AB32 & SB375! 2) Instant P71 HyTec™ Hybrid savings, no need to bust the budget, or wait years, to replace your entire fleet with unknown, unproven vehicles. 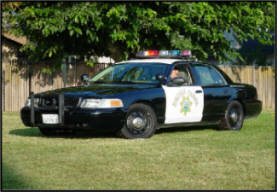 3) P71 Crown Vic performance, room, and familiarity. (P71 now, other vehicles shortly. )4) CASH BACK, for each GCS P71 HyTec™ Hybrid technology kit that GCS removes at end of service/lease, or, GCS can re-install its HyTec™ Hybrid technology on your replacement vehicles & transfer or extend each lease. Solutions for 1) high fuel prices, 2) reduced CO2 emission, 3) reduced HC, CO, & NOx emissions.